Information technology (IT) is being deployed on a grand scale by county governments across the U.S. to better serve citizens, according to the 2005 Digital Counties Survey, an annual study by the Center for Digital Government (Center) and National Association of Counties (NACo). In recognition of their work and innovations, the survey’s top 10 digital counties will be showcased and honored at a national awards ceremony in Honolulu, Hawaii. In April, all counties in the U.S. were invited to participate in the 2005 Digital Counties Survey, which is underwritten by Onbase. Officials responded to a set of 22 questions that included more than 95 measurements or data points. The survey grouped counties into four population categories: 500,000 or more; 250,000-499,999; 150,000-249,999; and less than 150,000. A top-10 ranking was established for each category. First-place winners in each respective category are Fairfax County, Va.; Prince William County, Va. (three-time first-place winner); Roanoke County, Va. (repeat winner from last year); and Charles County, Md. (three-time first-place winner). 1st place: Fairfax County, Va. 2nd place: Fulton County, Ga. (tie)2nd place: San Diego County (tie)3rd place: Orange County, Fla.4th place: King County, Wash.5th place: Montgomery County, Md.6th place: Oakland County, Mich.7th place: Westchester County, N.Y.8th place: Ann Arundel County, Md.9th place: Alameda County, Calif. (tie)9th place: Tulsa County, Okla. (tie)10th place: Miami-Dade County, Fla.
250,000-499,999 population: 1st place: Prince William County, Va.2nd place: Loudoun County, Va.3rd place: Dakota County, Minn.4th place: Boulder County, Colo.5th place: Sedgwick County, Kansas (tie)5th place: Seminole County, Fla. (tie)6th place: Utah County, Utah7th place: Richland County, S.C.8th place: Dutchess County, N.Y.9th place: Washtenaw County, Mich.10th place: Marin County, Calif.
1st place: Roanoke County, Va.2nd place: Merced County, Calif.3rd place: Arlington County, Va. (tie)3rd place: Hamilton County, Ind. (tie)4th place: Clermont County, Ohio5th place: Scott County, Iowa6th place: Frederick County, Md.7th place: Jackson County, Ore.8th place: Racine County, Wis.9th place: Carroll County, Md.10th place: McLean County, Ill.
1st place: Charles County, Md.2nd place: Nevada County, Calif.3rd place: Napa County, Calif.4th place: Sutter County, Calif.5th place: Boone County, Mo.6th place: Stearns County, Minn.7th place: Olmsted County, Minn.8th place: Albemarle County, Va.9th place: Delaware County, Ohio10th place: Deschutes County, Ore.
As a three-peat winner, Charles County government leaders are pleased to retain their top position, even with the stiff competition, officials noted. 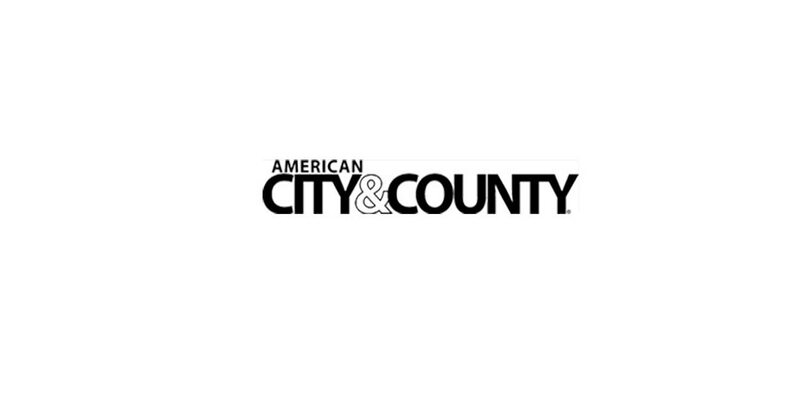 “This honor is a credit to our very professional IT staff and our board of commissioners who have been consistently supportive in providing the resources necessary to realize the advances in the use of technology we are being recognized for today,” said Eugene Lauer, county administrator. Fairfax County, Va., has worked diligently over the years to provide citizens with greater access to their government. “It is gratifying to see our success in e-access recognized in this way,” said Chairman Gerald E. Connolly, of the Fairfax County Board of Supervisors. The top 10 Digital Counties Survey winners in all population categories will be showcased and honored at an awards reception held in conjunction with NACo’s annual conference next month in Honolulu, Hawaii. The Center for Digital Government is a national research and advisory institute on information technology policies and best practices in state and local government. A division of e.Republic, publisher of Government Technology magazine, the Center’s services and online resources provide public- and private-sector leaders with decision support and knowledge to help them effectively incorporate new technologies in the 21st century. For more information on the Center for Digital Government, visit: http://www.centerdigitalgov.com. The National Association of Counties (NACo) is a full-service organization that provides legislative, research, technical, and public affairs assistance to county governments. Created in 1935, NACo continues to ensure that the nation’s 3,066 counties are heard and understood in the White House and Congress. For more information on NACo, visit: http://www.naco.org.